This webinar is the first of a collection of webinars called Design Insights presented by John Burns Real Estate Consulting and DesignLens. Sphere Trending is a strategy firm elevating future thinking by connecting the dots between intelligence and relevance. They study the present, learn from the past, and apply their unique expertise to connect the dots for limitless future possibilities. 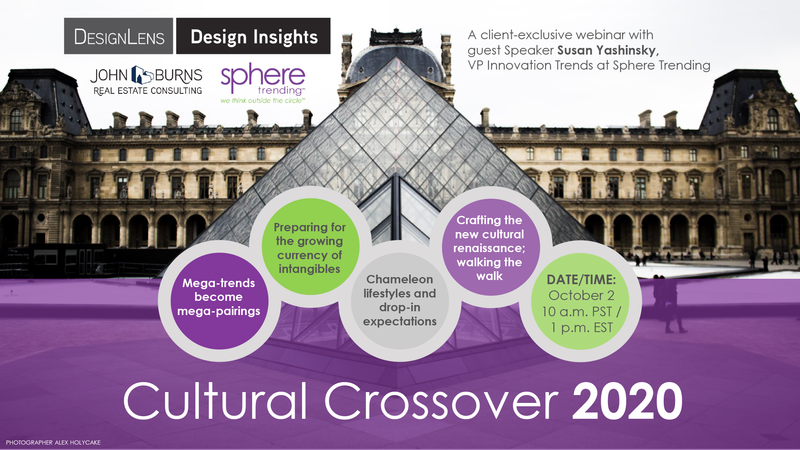 *Please note that this webinar is exclusive to current DesignLens and John Burns Real Estate Consulting clients. Click here to learn more about our research and consulting services.